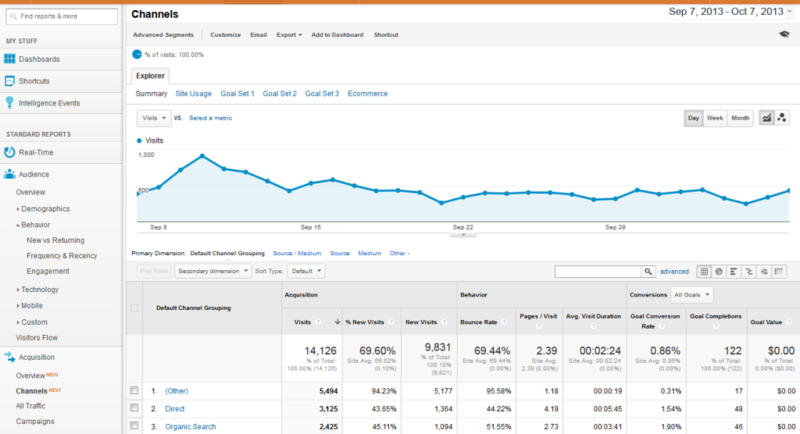 Google rolled out major changes to their Analytics dashboard yesterday. 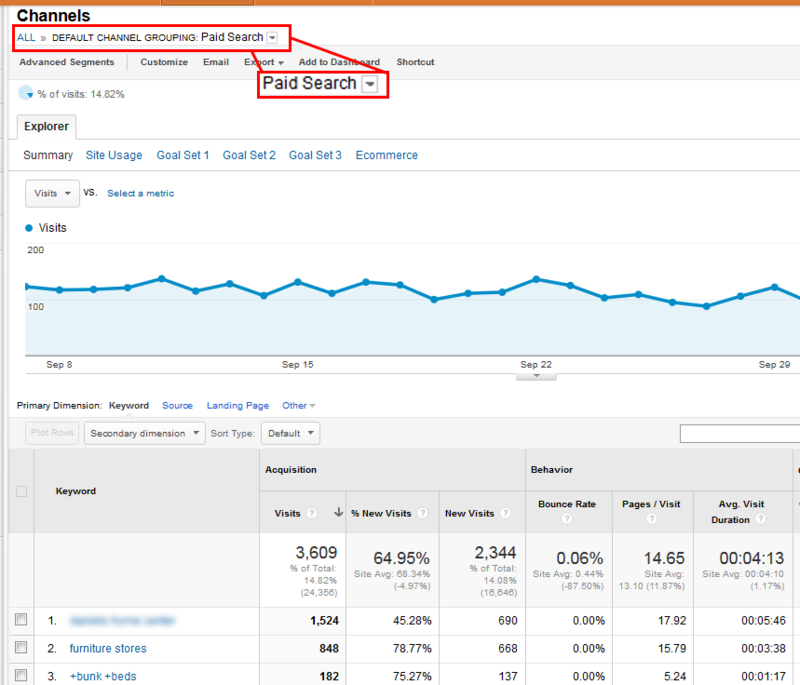 The update is designed to give you better insight on your traffic sources and how they generate conversions. The new features are easy for both website owners and search engine marketing specialists to understand, and they offer more information that can help improve your campaigns. The first major change you will notice is the disappearance of the “Traffic Sources” tab under Standard Reports. This has been replaced by a tab called “Acquisition.” When you click on Overview, you’ll see a new interface that shows your traffic data better and at a glance. Conversions, which reveals which of your traffic sources are effective at getting people to complete your conversion goals. What’s notable about this change is the section under the Acquisitions tab called “Channels.” When you click on this section, you will be taken to a page that shows the breakdown of traffic as shown on the “Overview” section. The data is divided the same way as it is in the overview: by acquisition, behavior, and conversions. The same options for selecting primary and secondary dimensions are present, as well as an option to choose what conversion goals you want to view. Clicking on a channel leads to a page where you can see the top keywords for that channel and the traffic and user activity each keyword generates. Website owners, webmasters and search engine marketing firms will find this updated dashboard offers more than easier understanding of your traffic sources. The greater value in this update is in the fact that Google is balancing the focus, going from providing data largely from organic sources to offering information about different channels like paid search, social, display ads, and referrals. 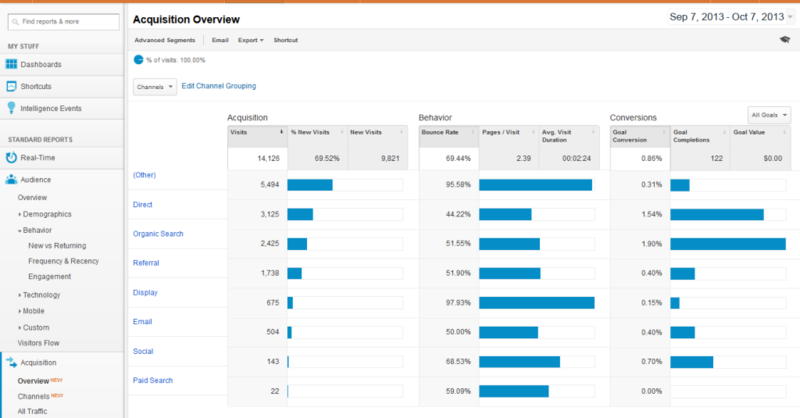 While the traffic source (not set) and the keyword (not provided) still dominate the Analytics dashboard (therefore creating a discrepancy in tracking), this change helps give you better insight on how to prioritize marketing for each channel. We’d like to discuss how we track your websites and bridge the gap from the information withheld by Analytics. We will teach you how to use your updated Analytics dashboard together with our services to create an effective search engine marketing campaign.